Tyneside Z/4043 Able Seaman John Wren was lost at sea 31 May 1916 when aboard HMS Black Prince and is commemorated on the Chatham Naval Memorial. He was 23 years old and is commemorated on the Evenwood War Memorial and the Roll of Honour, St. Paul’s Church, Evenwood. John Wren was born 6 February 1893 at Longhirst, Northumberland, the only child of John and Elizabeth Wren. By 1901, 33 year old John (born at Craghead) worked as a coal miner (hewer) and he and Elizabeth (born at Spring Gardens) lived at Copeland Row, Evenwood. By 1911, the family lived at Irene Terrace, West Auckland. Both John senior and John junior worked as coal miners, John senior as a hewer and John William as a putter. John Wren enlisted 27 March 1915 and was given the service number Tyneside Z/4043. He was 5’6” tall, with auburn coloured hair and blue eyes. 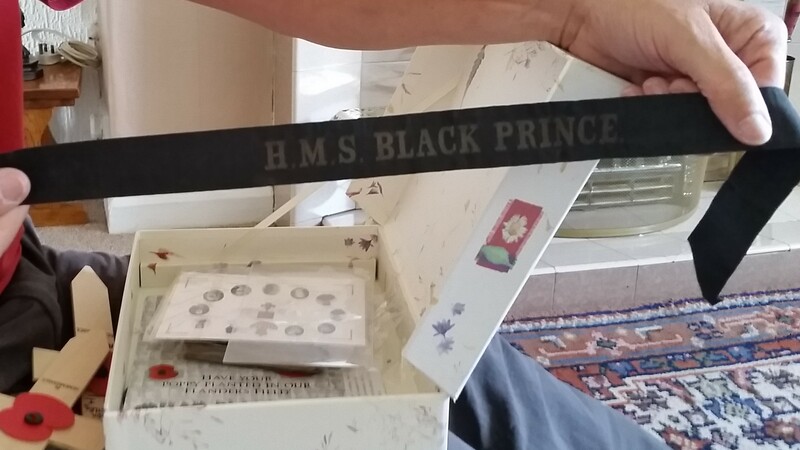 He was shore based until 30 June 1915 when he joined HMS Black Prince. John Wren had a letter to the vicar of St. Paul’s, Evenwood published in the Church Magazine. 31 May 1916: in the morning over 250 British and German warships were steaming on convergent courses to a rendezvous unanticipated by the Germans, off the Jutland coast of Denmark. Admiral Reinhard Scheer commanded the German High Seas Fleet, consisting of 16 Dreadnoughts, 6 pre-Dreadnoughts, 5 battle cruisers, 11 light cruisers and 61 destroyers. Both sides had submarines and air ships but these did not play a part in the conflict. HMS Black Prince was part of the 1st Cruiser Squadron along with HMS Defence, HMS Warrior and HMS Duke of Edinburgh and HMS Ardent was part of the 4th Destroyer Flotilla along with another 18 destroyers. Both ships took part in the night battle 31 May/1 June. The Germans proved to be better equipped for night fighting with better co-ordination, star shells and searchlights The British destroyers were painted black, a bad colour for night fighting and after the battle they were repainted grey like their German counterparts. Whilst they attacked bravely their tactics were poor, usually approaching too close and launching their torpedoes at the wrong angles, enabling the Germans to fire first and avoid the torpedoes. The Kaiser claimed victory, known to the Germans as “the Victory of the Skaggerak.” Jutland was undoubtedly a material victory for the German High Seas Fleet whilst being a strategic victory for the British Grand Fleet. The Germans had inflicted heavier losses on the numerically superior Grand Fleet and had escaped near destruction but had failed to break the British blockade or control of the North Sea. The engagement had not altered the balance of power in any meaningful way. The relative strength of the navies was 28:16 before the battle and 24:10 afterwards – both in favour of the British Fleet. The Kaiser would not release his High Seas Fleet to do battle since he could not risk challenging and being defeated by the British fleet so the German navy stayed in port. Submarine activity was resumed in earnest. HMS Black Prince had been separated from the rest of the 1st Cruiser Squadron as the Grand Fleet was deploying at 18.20. Since then she had been trying to rejoin the fleet. Now, in a sense, she repeated the mistake of her sister ships Defence and Warrior as, in all ignorance, she wandered into the path of the High Seas Fleet. Engineer Room Assistant Otto Frost was aboard a German destroyer that had taken up her natural station at the head of the line. Cadat Heinz Bonatz saw the debacle from the Nassau, which had been forced to reduce speed and drop out of the main battle line after the collision with the Spitfire. The Black Prince was in no position to defend herself and strike back against the calibre of adversaries she had brought upon herself. The Thuringen, Ostfriiesland, Friedrich der Grosse and Nassau all joined in firing at this most helpless of targets. There was no room for sentiment. Seaman Herman Meenzen had only joined the Nassau three weeks before the battle. He was not an experienced sailor. It was the first sea voyage of his entire life. He found this massacre a chilling site. The loss of the Black Prince was another reminder of the vulnerability of the outmoded armoured cruisers and the dreadful human cost as 857 men lost their lives in an episode of staggering futility. J/43920 Ordinary Seaman William Carrick and he is buried at Farsund Cemetery, Norway. 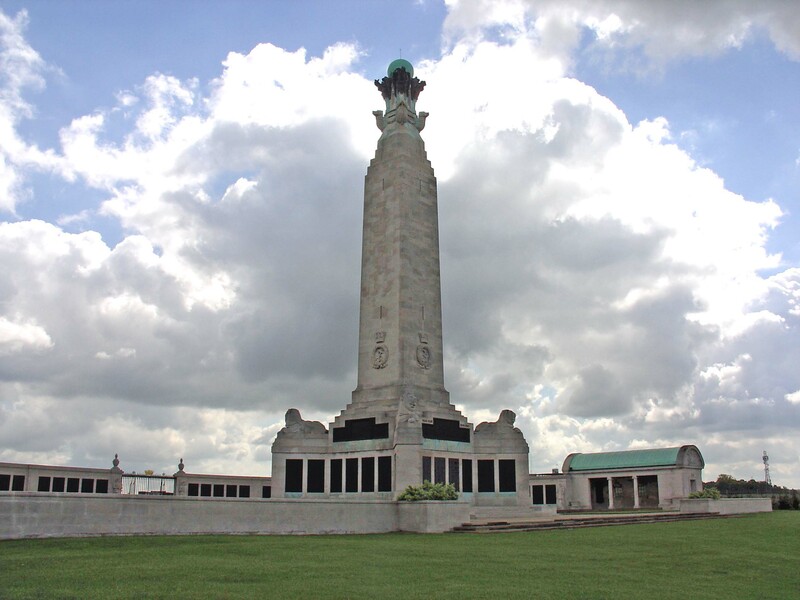 J/43919 Ordinary Seaman Andrew Lynas was lost at sea and is commemorated on the Portsmouth Naval Memorial. Another Evenwood lad, William Purdy, aboard on HMS Maidstone, was involved in the battle but his ship was in the main fleet so their part in it was mainly the pursuit. “John William Wren was also a lovable lad. He was on the cruiser “Black Prince” which put up an historic fight against great odds at the beginning of the battle. She also went down at last with, I believe, all her gallant crew. We always saw John William in church when he got a few days leave. A real fine lad he was. He wrote us a letter once you will perhaps remember which duly appeared in this page. They were all fine lads, clean and wholesome in their lives and good to look at and we shall be ever so much poorer without them although happy in their memory. Able Seaman J.W. 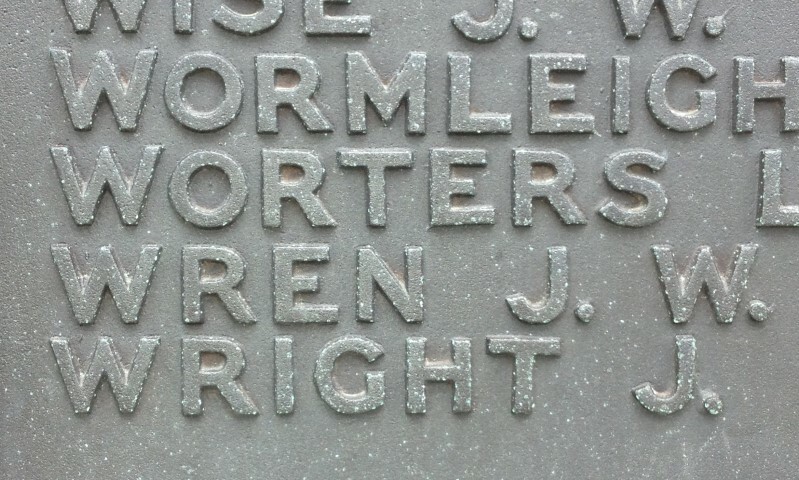 Wren is commemorated on the Chatham Naval Memorial. After the First World War, an appropriate way had to be found of commemorating those members of the Royal Navy who had no known grave, the majority of deaths having occurred at sea where no permanent memorial could be provided. An Admiralty committee recommended that the three manning ports in Great Britain – Chatham, Plymouth and Portsmouth – should each have an identical memorial of unmistaken naval form, an obelisk, which would serve as a leading mark for shipping. The memorials were designed by Sir Robert Lorimer and Henry Poole. Portsmouth Naval Memorial commemorates almost 8,500 sailors of the First World War and almost 10,000 from the Second World War.